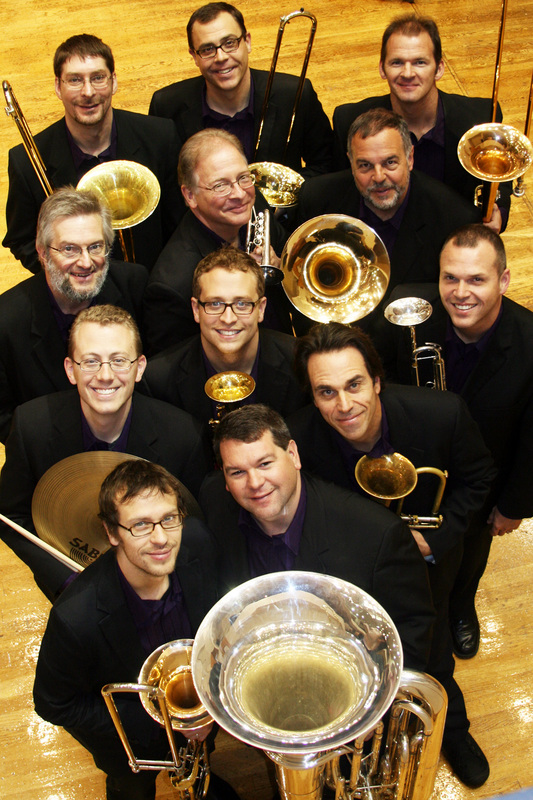 Under the direction of brass-icon, John Stevens, and comprised of the finest professional brass players in the Midwest, the Isthmus Brass is Wisconsin’s premiere large brass ensemble. Named for a strip of land between the lakes of Mendota and Monona in Madison the IB was established in 2009 as some of the most high profile brass players in the region looked for a way to collaborate and perform together. They initially decided on a course of performing charitable Christmas Concerts especially for the Porchlight Homeless Charity and at retirement homes in Madison. Since then the group has taken off on the professional concert circuit and is currently being selected to perform on concert series and music festivals throughout the Midwest. Don Sipe (trumpet) is a member of Present Music, Stained Glass Brass, the Wilson Center Big Band, and the Milwaukee Brass Quintet. He teaches trumpet at Carroll University and conducts the Brass Choir at the Milwaukee Youth Symphony Orchestra. His chamber music credits include the Chicago Symphony Orchestra Brass Ensemble, the Chicago Brass Quintet, the Fulcrum Point New Music Ensemble and the Summit Brass. Jon Schipper (trumpet) is an extremely active performer and educator in the Midwest. He has performed with these artists on tour or in concert: Frank Sinatra, Jr., Aretha Franklin, The Temptations, John Tesh, Don Rickles, Clay Aiken, Cheap Trick, Jon Faddis, Wayne Bergeron, and The Nelson Riddle Orchestra. During the 1990's, Jon was a featured soloist with the Madison Scouts Drum and Bugle Corps. He regularly performs with many local groups including Madisalsa and Phat Phunktion, Jon is Director of Bands and chairs the music department at Madison Country Day School in Waunakee, WI. 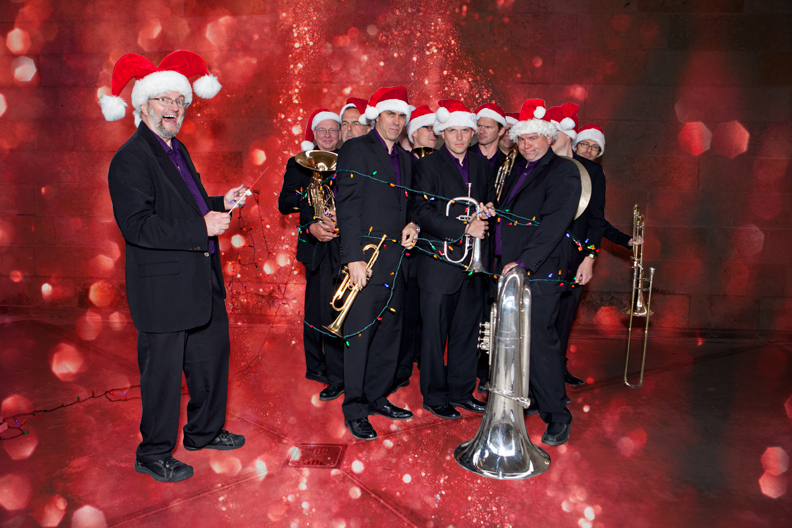 Brent Turney is the newest edition to the Isthmus Brass and performs regularly throughout the Midwest with groups such as the Milwaukee Symphony, Wisconsin Chamber Orchestra, Broadway in Chicago, Chicago Jazz Orchestra, Maynard Ferguson and Aretha Franklin. He is a popular soloist and clinician with high schools, colleges, and jazz festivals throughout the Midwest. Brent has performed in 49 states and 20 countries. Currently Brent is the Associate Professor of Trumpet at the University of Wisconsin-Stevens Point. Ricardo Almeida (horn) is a member of the horn section of the Madison Symphony Orchestra and performs extensively throughout Southern Wisconsin as a freelance hornist. Having first established himself throughout Europe as an orchestral horn player, Ricardo is equally proficient as a chamber musician and can be heard on Crystal Records with the NFB Horn Quartet and a new Albany Records release of music by Alec Wilder. Tim Albright (Trombone) serves on the faculty at Lawrence University in Appleton, Wisconsin where he teaches trombone and jazz courses. He regularly performs with the Atlantic Brass Quintet and the Alan Ferber Big Band, Argento New Music Project, Iris Orchestra, Riverside Symphony, Steve Lehman Octet, and Miguel Zenón Identities Jazz orchestra. He has performed on Broadway and records extensively with RCA Victor, Universal Music, Summit Records, Sunnyside, New World Records, Pi Recordings, Aeon, and Label Bleu. Dylan Chmura-Moore (trombone) is Assistant Professor of Music at University of Wisconsin Oshkosh where he teaches trombone and serves as Director of Orchestral Activities, conducting the University Symphony Orchestra. Dylan has recently performed with Madison Symphony Orchestra, Green Bay Symphony Orchestra, Wisconsin Chamber Orchestra, Fox Valley Symphony Orchestra, Dal Niente, and Con Vivo!. Dylan can be heard on Mode, Summit, EuroArts, Albany, TZADIK, and the Accentus record label. Michael Dugan (trombone) is the Associate Professor of Trombone at the University of Wisconsin-Whitewater. In addition to his teaching duties, Mike is an active freelance artist in the Upper Midwest. Recent engagements include the Milwaukee Symphony, Minnesota Orchestra, Saint Paul Chamber Orchestra, as well as many fine regional orchestras throughout Wisconsin and Iowa. Mark Hoelscher (bass trombone) is a member of the Chicago-based Millar Brass Ensemble and is an Edwards artist/clinician. He freelances with groups in the Chicago, Milwaukee, and Madison areas and is an active teacher and coach. He also serves as the Adjunct Professor of Trombone at the Peck School of Music at the University of Wisconsin-Milwaukee. Mike Forbes (tuba) is the founder and leader of the Isthmus Brass and is currently the Principal Tubist with the La Crosse Symphony Orchestra and a tuba/euphonium professor at UW-La Crosse. He is also a founding member of the internationally recognized Sotto Voce Tuba Quartet and can also occasionally be heard as the tubist with the “Guy’s All-Star Shoe Band” on A Prairie Home Companion. A prolific writer, Mike’s arrangements and compositions (especially for brass and wind band) are regularly played around the world. He can be heard his Summit Records solo albums, Forbes Plays Forbes and Forbes Plays Koetsier, or with Sotto Voce on their five albums. Keith Lienert (percussion) is the percussion instructor at the University of Wisconsin-Platteville. His performing and teaching career credits include Disneyland’s Collegiate All-Star Show Band, Arizona State University, Arizona School for the Arts, and Elgin Community College in Illinois. He has performed in Southern Wisconsin with the Janesville Armory Dinner Theater, the Dubuque Symphony, the Wisconsin Chamber Orchestra, and the PanGo Steel Drum Band from Chicago.